Supporting recovery, prevention, health, and wellness of the body, the mind, and the community. 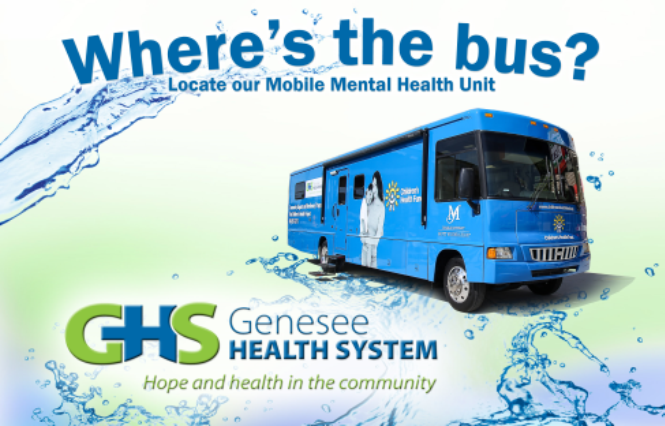 At Genesee Health System, we are dedicated to providing the highest quality, most effective services and supports available to meet the mental health, developmental disabilities, and substance use disorder needs of the adults, children and families we serve in Genesee County. These services will be provided in a welcoming, supportive way that is helpful to symptom stabilization, long-term recovery, and achievement of the varied life goals envisioned by the people in our care. Genesee Health System has joined Lapeer County Community Mental Health, Sanilac County Community Mental Health and St. Clair County Community Mental Health in a collaborative effort to serve the four county area effectively. The partnership is called Region 10 PIHP. To find out more, go to the Region 10 website here. To leave feedback click here. GHS has partnered with “Crisis Text Line” —a non-profit organization that provides crisis support via text message. For a flyer, click here. Where is the GHS Mobile Unit? Seeking pre-admission review or authorization forms? Click here for instructions.